Sextus Marcius Martinianus was Roman Emperor from July to 18 September 324. He was appointed co-emperor by Licinius. In 324, as the second civil war between Licinius and Constantine I was at its height, the situation for Licinius was not promising. He decided to replace Constantine (in name only) as western Augustus. 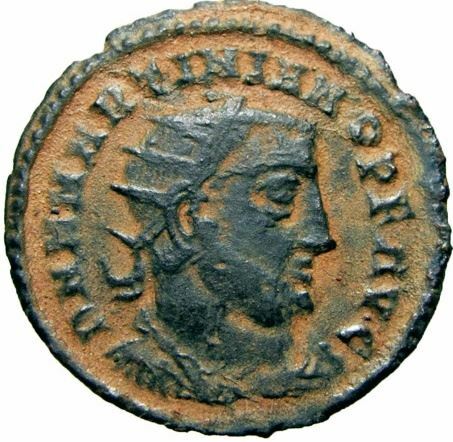 As his replacement he named Martinian co-emperor, as he had previously appointed Valerius Valens. It was short-lived. On the 18th of September 324, Licinius was soundly defeated by Constantine. Initially, both Licinius and Martinian were spared. However, Constantine seems to have soon regretted his leniency as both former emperors were subsequently executed.